Over 110 Park Champions and stakeholders joined us for our annual celebration at The Last Drop on 28 September 2017. 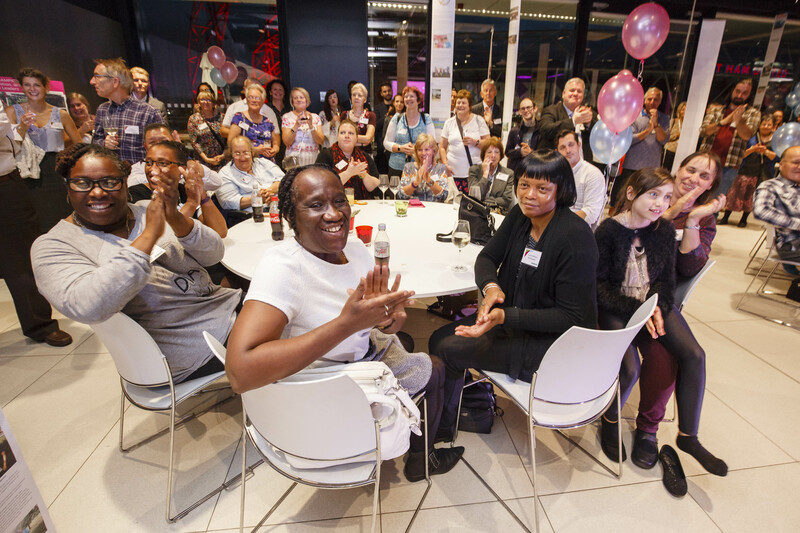 It was an amazing evening celebrating the contribution of the volunteers who have participated in a range of activities over the past year. 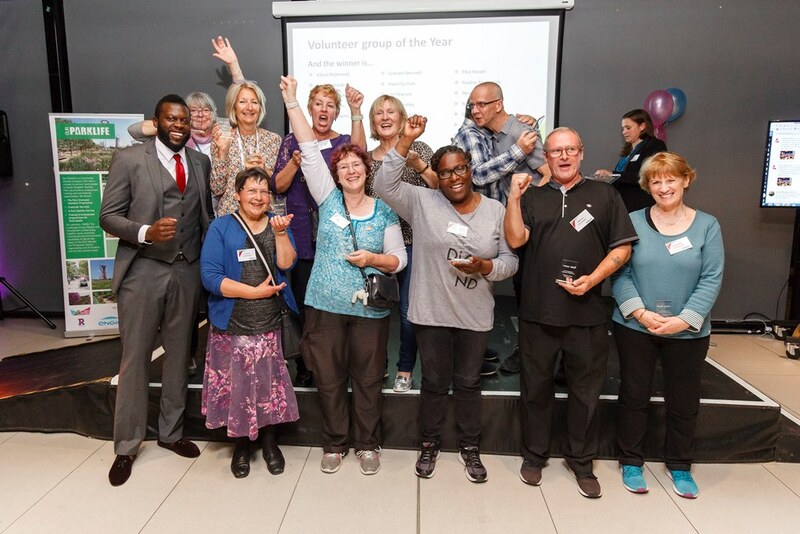 Volunteers dedicated over 11,000 volunteer hours in 2017; providing information, welcoming guests, guiding them around the Park, delivering the mobility service at the information point, supporting the vast number of events – including West Ham United and London Lions matches, Shell Eco-Marathon and 64 bits – and getting their hands dirty in our conservation and gardening sessions. We are looking forward to another exciting year in 2018. There will definitely be something for everybody to get involved with. Once again we will be running our hugely successful customer and mobility services as well as continuing to develop our community guide role. Congratulations to our Park Champions! 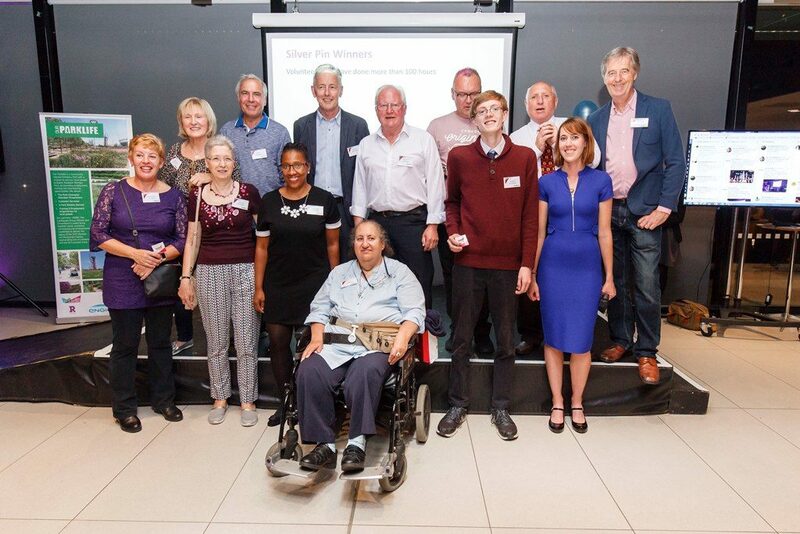 Gold, silver and bronze pin badges were awarded as a way of saying thank you to our Park Champions for their enthusiasm, energy and dedication; bronze for 50 hours of volunteering, silver for 100 hours and gold for 150 hours. 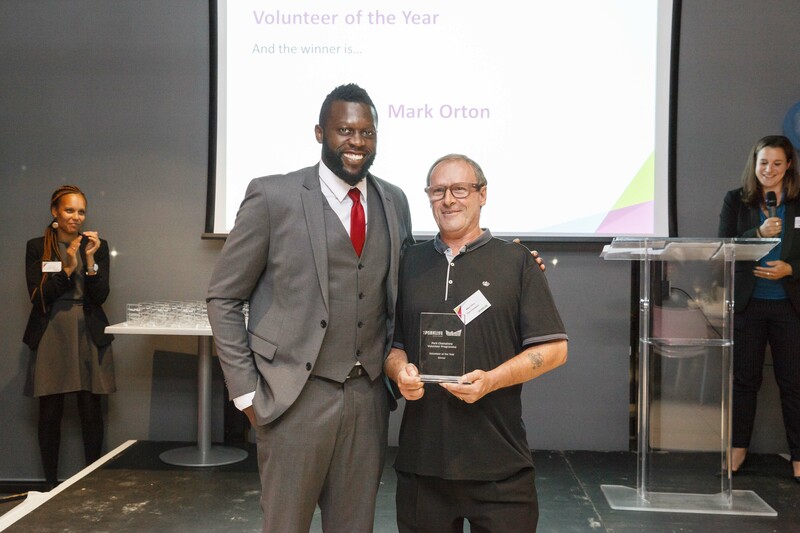 Park Champions voted Mark Orton as our Volunteer of the Year! 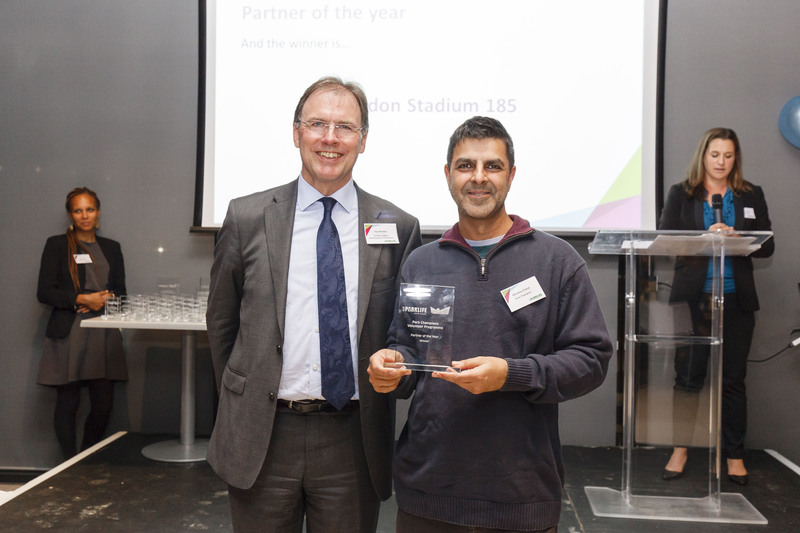 Mark Orton was voted as the winner by fellow Park Champions and has already volunteered over 700 hours this year. Mark is a fantastic team member and also a team leader who always leads by example, ensuring everyone is having fun! 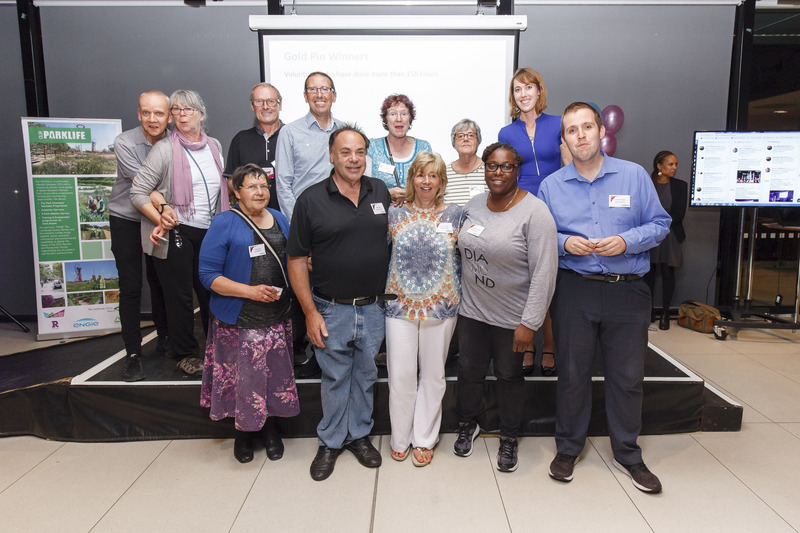 Our Community Guides volunteers were proud to receive the Volunteer Group of the Year award. Community Guides were trained to deliver guided walks around the Park for local groups including Loughborough University Students, the ArcelorMittal Orbit new starters and Chobham Manor residents. A total of 320 volunteer hours have been devoted to training and the delivery of this service in the first year of its operation. Feedback has been overwhelmingly positive, with incredibly high satisfaction scores on every walk. 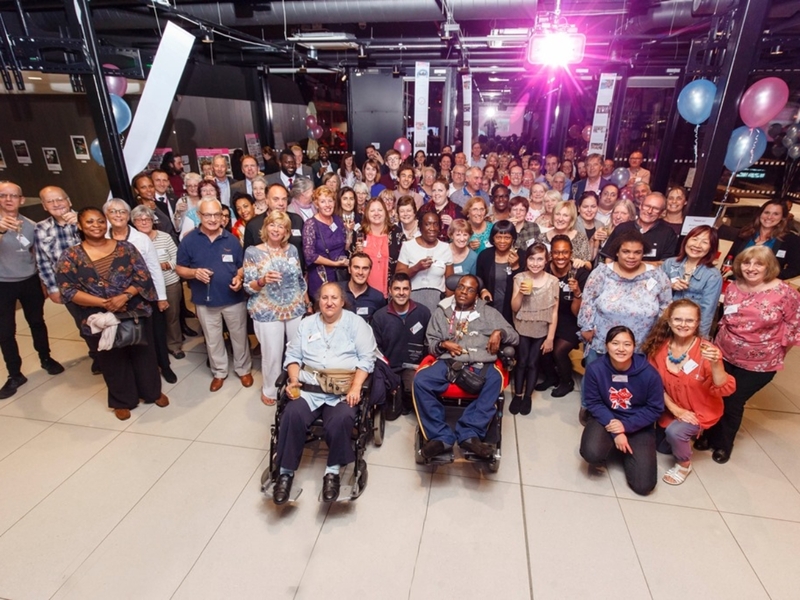 London Stadium 185 (LS185) offered a unique opportunity to Park Champions to volunteer over four concerts. 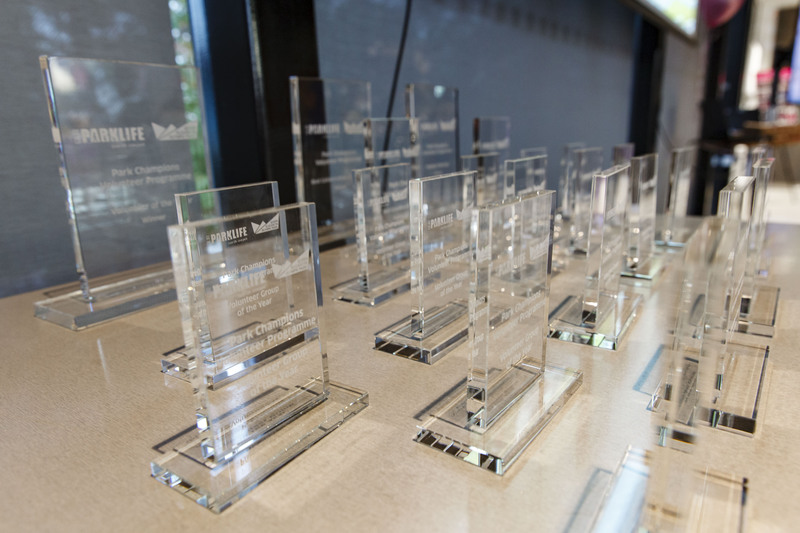 Park Champions gave up over 1,050 hours of their time to enhance the customers’ experience. 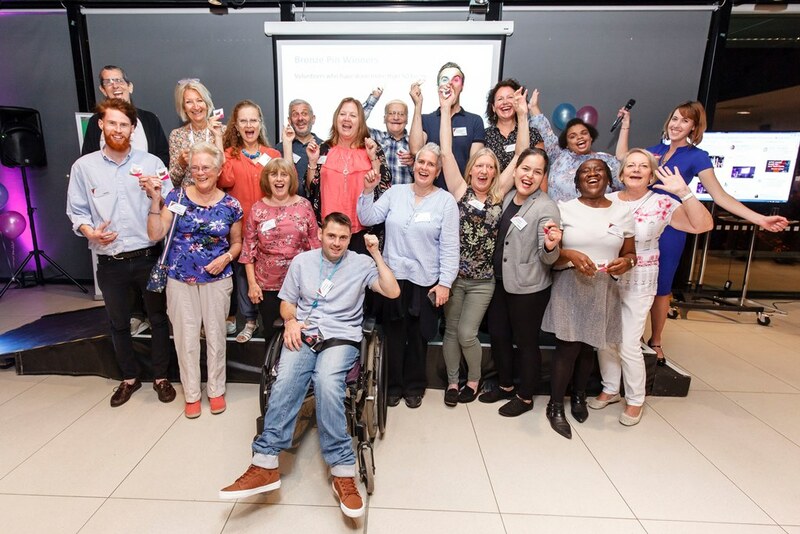 Park Champions adapted themselves to the needs of each concert, providing feedback that allowed LS185 and the Our Parklife team to act swiftly and offer an even better experience at the next fixture. LS185 and the Our Parklife team trained over 10 Park Champions who are now Stadium Team Leaders as a result of the concerts. 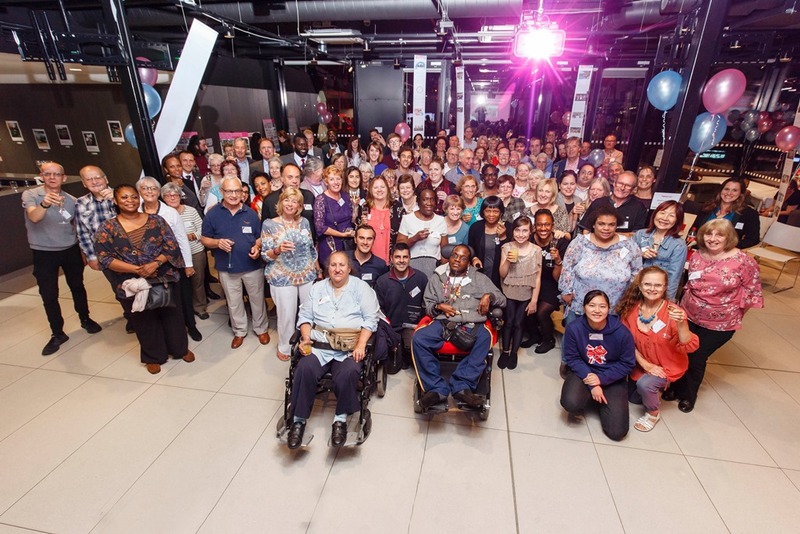 West Ham United Football Club received the highly commended award for the opportunities offered to volunteers since their move to London Stadium. The Park Champion role had a real impact on both the club and volunteers as individuals. Following a successful pilot programme, West Ham United decided to take on an internal team of Supporters Liaison Officers (SLO), employing 16 Park Champions to assist during home games. 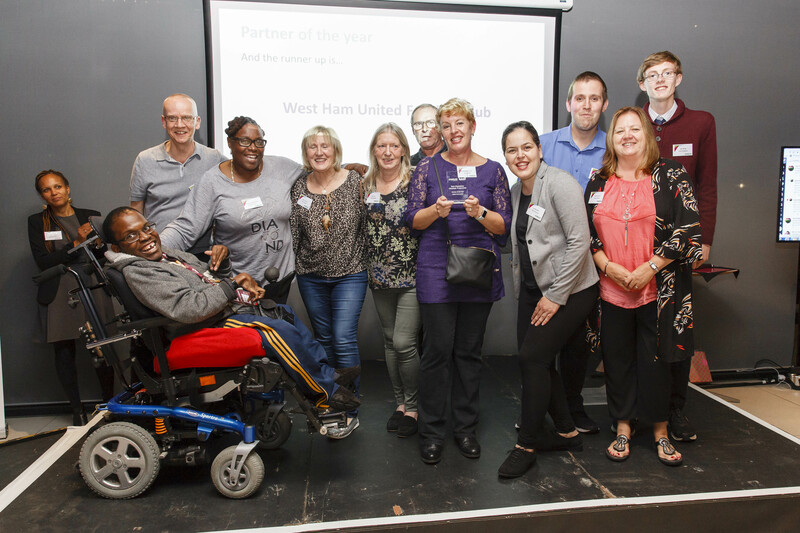 West Ham United continuously praises the Park Champions who are part of their SLO team. 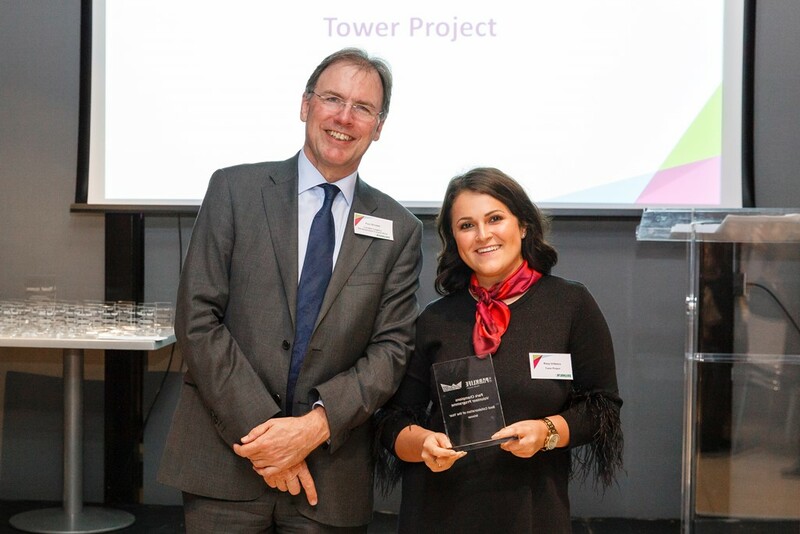 Tower Project and Our Parklife have been collaborating since 2015, offering six week programmes where students with special educational needs from local schools join our customer service team volunteering one to two days a week. Over the course of the six week placement, students work towards an Entry Level 3 accredited training in customer service, learn about the Park’s diverse facilities, activities and events and the range of careers available on the Park – everything from visitor services to security, engineering, cleaning and grounds maintenance. 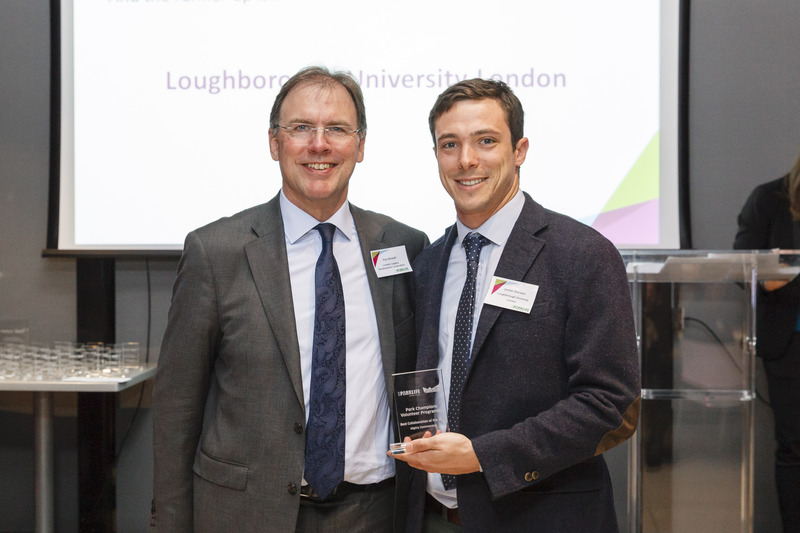 Loughborough University London received the highly commended award for their work with Park Champions and Our Parklife. Over 2016 and 2017, we have promoted the benefits of volunteering to students and helped make them feel even more a part of the Park by becoming Park Champions. It has resulted in Our Parklife creating a bespoke role for the media students, in partnership with the London Lions Basketball team. The students’ role is to interview the London Lions players, gaining experience in the video editing field as well as a great exposure to working at events. 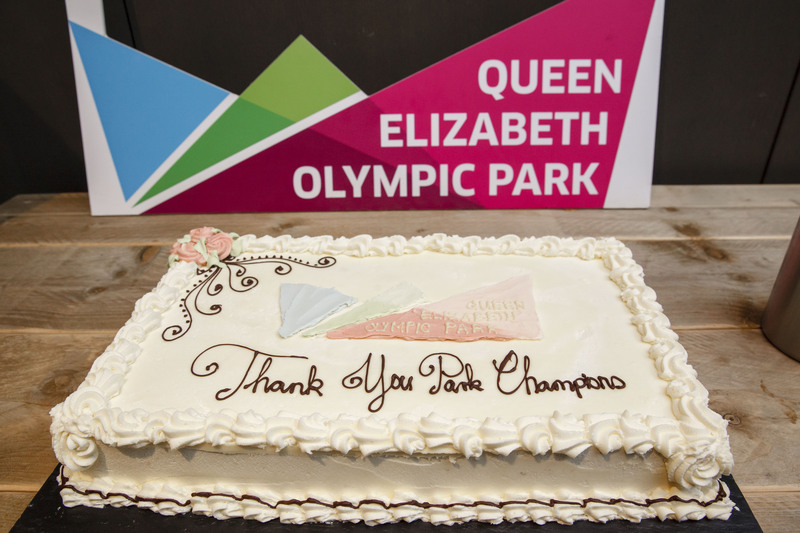 Thank you to everyone who joined us to celebrate another fantastic year for the Park Champions programme and our dedicated Park Champions who are a vital part of life at Queen Elizabeth Olympic Park.